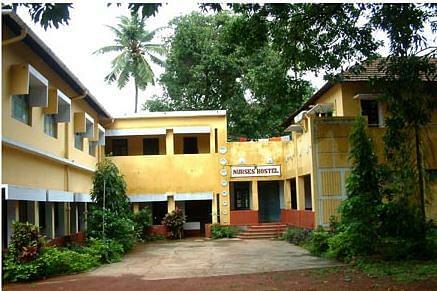 CSI Lombard Memorial Hospital School of Nursing, Karnataka, Udupi was established with an objective of catering to the health care needs of all the people regardless of caste and creed. It endeavours to show love of God as manifested by Jesus Christ by serving all those in needs in best possible manner. It target at promotion of health care facilities. With a view of giving practical training to the students the college is attached with the hospital; training is also imparted through visiting the community centers. The institute strives to give enriching experience to the students in order to equip them to handle the difficulties coming along their way. Provision of practical training: The College is attached to well equip hospital for giving hands on experience to the prospective nurses. All the major specialties are available in the 24 x 7 hospital; such as OT, ICCU, General Medicine, SICU, NICU, general Surgery, Gynecology, Pediatric, Obstetrics, Dental, Cardiology, Anesthesia, Neurology, ENT, and Dermatology. Provision of well equipped laboratories: The College has well equipped nursing lab, nutrition lab, OBG or Obstetrics Gynecology laboratory with a view to give the practical training to the students. Teaching through the modern teaching aids: The teaching and training is done with the help of latest technological devices such as OHP, LCD, D.V.D Player, Microscope, T.V, charts, slides, museum display models, human bones, human skeleton, human skull, slide projector etc. Resourceful library: The College has a wide collection of books related with a wide range of topics. A lot of journals, magazines and periodicals are also available in the library. Practical and enriching community training experience: The students get enriching community training experience by getting training in various rural and urban centers. The students usually work six day in a week in these centers.